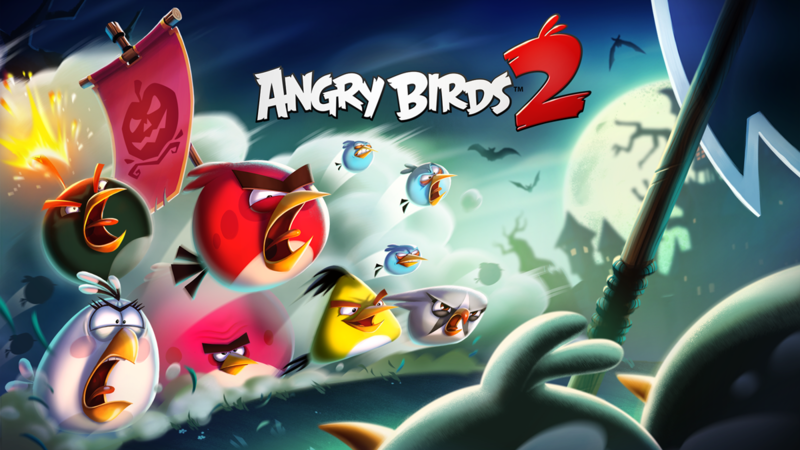 Angry Birds Halloween – METAL, MAYHEM, MONSTERS, and hats. Halloween is swiftly approaching like an evil spirit summoned by curious college students after stumbling upon a recording of ancient incantations from the Necronomicon Ex-Mortis (aka the book of the dead), and we’ve got some fresh updates, events, and sales in our fruit cellar ready to burst through the the earthen floor and attack when you least expect it! Only you will be expecting it because we’re telling you about it now. Take a peek below for all the wicked goodies! Angry Birds Evolution is gearing up for the most METAL Halloween ever. For the all hallow’s season, the pig battling collect-em-up plays host to none other than the face of IRON MAIDEN himself, Eddie! The Heavy Metal gods have been pleased with the birds’ unyielding anger, and they’ve sent their harbinger, Eddie the Bird, to Bird Island harvest piggy souls. For a limited time (Oct 18 through Nov 1), players can hatch Eddie the Bird and add him right to their team to send those pigs running to the hills. Running for their lives. Download Angry Birds Evolution here. Angry Birds 2 is getting a little spooky too. In addition to 3 new sets of hats, including one particularly frightful Halloween set, and Halloween sales from Oct 31 through Nov 4, Angry Birds 2 adds a HUGE new feature. I’m talking about Clan Battles. In Clan Battles, players challenge another clan one on one to compete for primo rewards. Keep an eye on the clan area in Angry Birds 2 for more info on what clan challenges are available, and be on the lookout for some extra Halloweeny challenges soon. 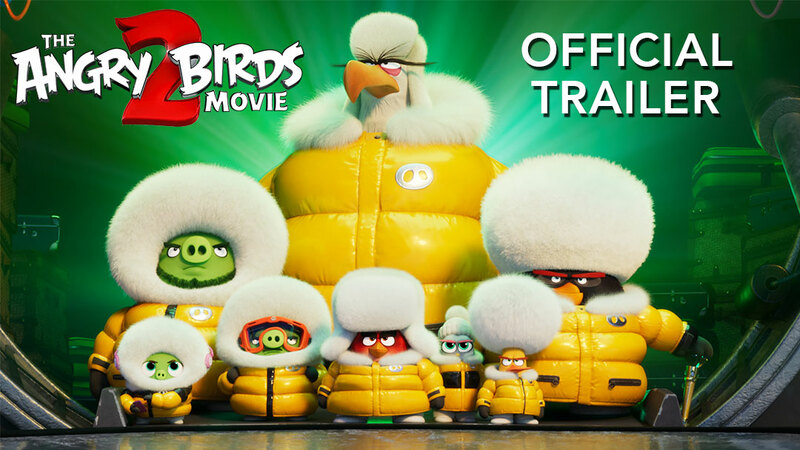 Download Angry Birds 2 here. 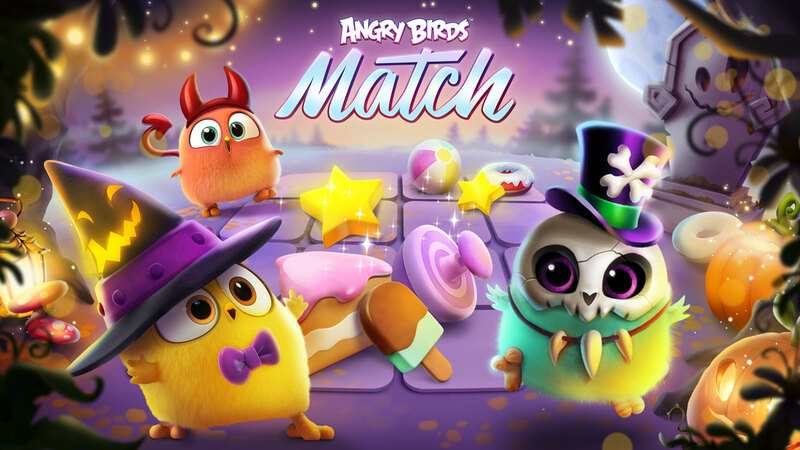 Angry Birds Match is so cute, it’s scary. And now there are three more adorbalicious new faces to meet in a new Halloween area. You could just eat them up! But don’t. These little guys are going to need some costumes if they’re going to get their trick-or-treat on, and that’s where you come in. Get those costumes, and help these little devils celebrate Halloween! Bonus: collect all of the new outfits, and you will be rewarded with a mysterious Grand Halloween Chest. What could be in there? Download Angry Birds Match here. Just when you thought it couldn’t get any blastier, Angry Birds Blast comes through with a Halloween update that ratchets the blast level up even further. The game gets dolled up for Halloween in a big way with a new, spookier daily quest and pig skulls everywhere. Come for the pig skulls, and stay for the two new, limited-time mini-campaigns, in which you can spend the weekends hiking to a haunted cabin in the woods. Just watch out for those evil spirits, and maybe stay out of the fruit cellar altogether. Meanwhile, there’s a Halloween puzzle event happening until November 1. Collect pieces to complete a shuddersome picture and earn some rewards in the process. Last, look out for a Halloween sale going on until November 1st! 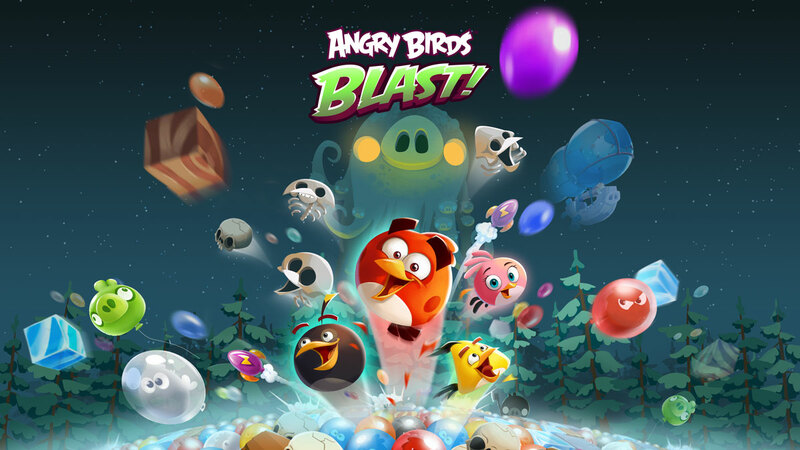 Download Angry Birds Blast here. This halloween, you’re in trouble – DOUBLE TROUBLE. Piggy monsters have come to take your candy! And these are not the kind of monsters that take no for an answer. They only speak the language of cupcakes. Collect cupcakes in levels and feed them to the monsters every day to earn pumpkin power-ups to use later. Careful which monster you feed! The monster who eats the most cupcakes will be the final boss of the whole Halloween tournament. Download Angry Birds Friends here. Angry Birds POP is spending the Halloween season hiding out at the serene Camp Pork Chop, but if you’ve ever seen a single horror movie, you know that there’s nowhere to hide, and nowhere to run – especially upstairs. Don’t go upstairs. Anyway, the Angry Birds POP Halloween update is available right now, and it features a mysterious phantom guest, and even MORE new levels (that brings the total to 2265 if you’re counting). Don’t miss awesome Halloween sales from October 28th through the 31st. 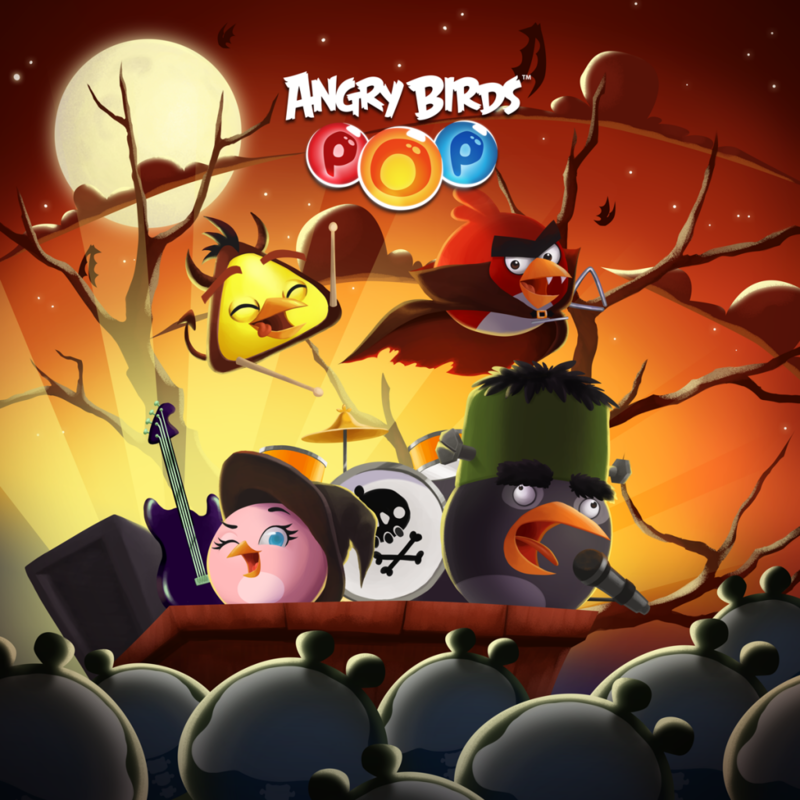 Download Angry Birds POP here. That’s the whole bag of treats. Have a spooky and ANGRY Halloween, and don’t forget to brush and floss your teeth. Dental hygiene is very important. First time it was grinch the full of camping & one birds of angry birds match & you fix when it not full of camping & two chair & one birds. I wish you have more lives to finish the Halloween levels.